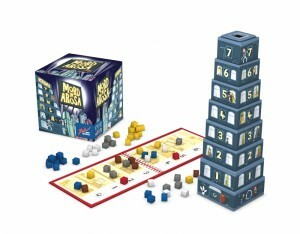 Boardgame News posted a piece about ‘Mord Im Arosa’, a new game from Zoch. Players are trying to be the least suspected person during a murder in a hotel. However, the gameplay is rather zany and different to anything I’ve seen before. 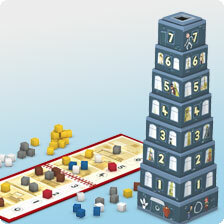 During the game, players drop cubes into a 8-storey card hotel and listen to where they come to rest. Two of the cubes show on which floors the murders took place and the rest are evidence of the player’s locations when the murders occurred. 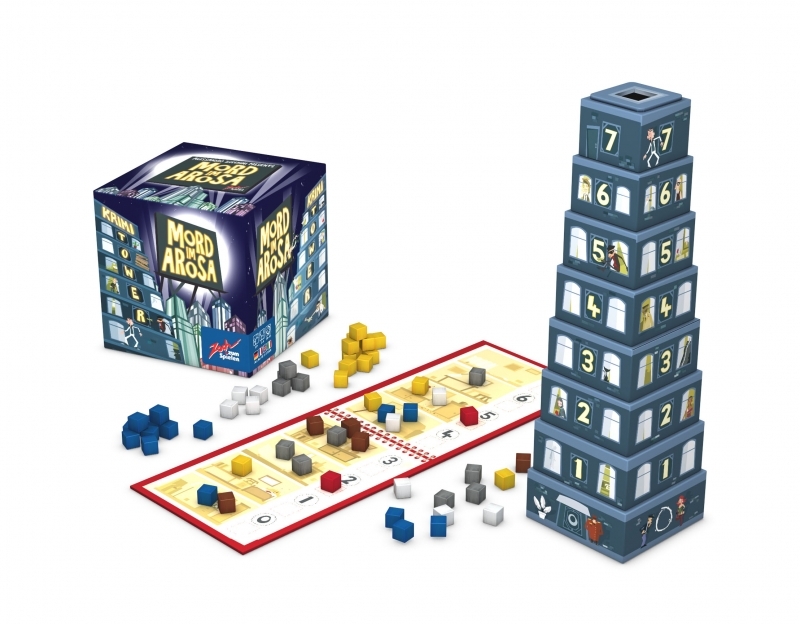 The players predict which cubes they will find on a specific level, lift up the storeys above it and look to see which cubes are actually at that level. If they are right, matching cubes get placed on the evidence board (which are now fixed) and then drop the cubes into the tower again. If you guess wring then you have to add more of your cubes into the tower. When the game ends, the closer the player’s cubes are to the murder locations, the more points they score and it is the player with the fewest points (because they’re the least connected to the murder) who wins. It sounds totally fresh, completely mad and I’m really hoping it’s the fun, light and crazy game it sounds and not just random weirdness.